Libjo, Tabogon, CEBU- May 17, 2017 – A2D Project through the Post Haiyan: Enhancing Resilience through Community-Based Disaster Risk Management in Tabogon, Cebu,Philippines (ENABLED Project) awarded cash grants, worth Php 75,000.00 to the three purok organizations of Brgy. Libjo in the Municipality of Tabogon, Cebu. Each three puroks received P25,000.00 each for the implementation of their community-initiated inclusive projects. The cash grant is intended to augment the economic capacities of the purok organizations of Libjo and the construction of an inclusive purok center to build Unity and Resiliency among the community members. It was noted that project development and resource mobilization among Disabled People’s Organizations (DPOs) and People’s Organizations (POs) is crucial to the sustainability of the organization. It was also acknowledged that any project development for funding should be anchored on the participation of people from the grassroots level. The giving of cash grants is a sequel to the concluded series of proposal making and project development trainings among the Purok Organizations (POs) of Brgy. Libjo and Somosa. Prior to the awarding, three proposals were submitted by the POs and defended these to a set of experts of proposal development. A2D Project came up with this strategy to capacitate community organizations to think of projects that reflects their needs in the community. Libjo Brgy. Captain Febrelita Pepito, PO Presidents Marites Eleseo, Luzalinda Abe, Fe dela Cruz and A2D Project Chair/ OIC Dr. Leodinito Canete signed the Memorandum of Agreement (MOA) for the implementation of their projects. “This will not only change our lives but it will be our hope for the development of our communities.” Marites Eleseo, President of Purok Kabatuan said. “This initiative will help them empower their organization to take charge of their own rebuilding and development.” Canete concluded. 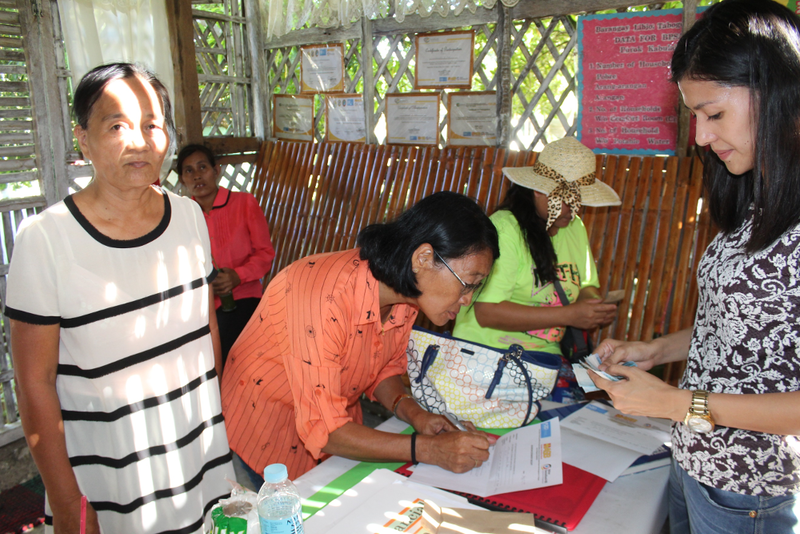 This giving of cash grants is part of the Philippine Community Resilience Programme established and funded by Arbeiter-Samariter-Bund (ASB), a German relief and social-welfare organisation engaged in a wide range of social service provision in Germany and abroad. The purpose of this programme is to strengthen the resilience of communities affected by typhoon Haiyan through inclusive community-based initiatives.